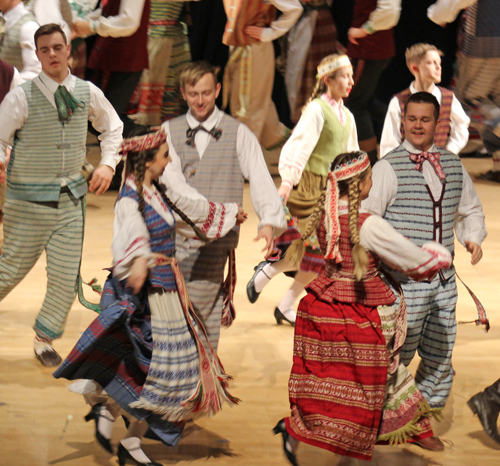 The entertainment began with dances from Gintaras and Svyturys dancers. 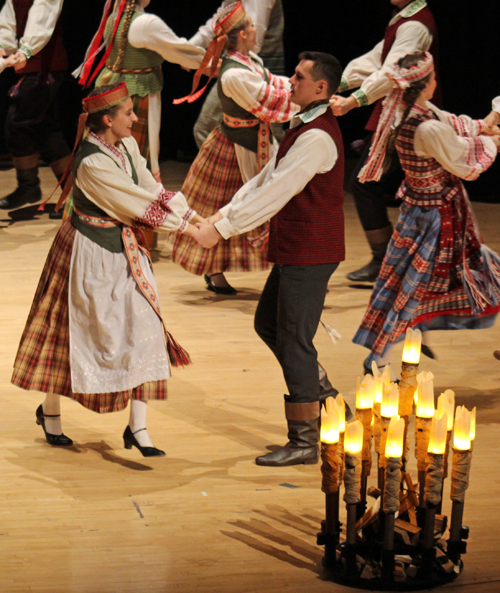 The dancers of Toronto Gintaras bring new life into old tradition. 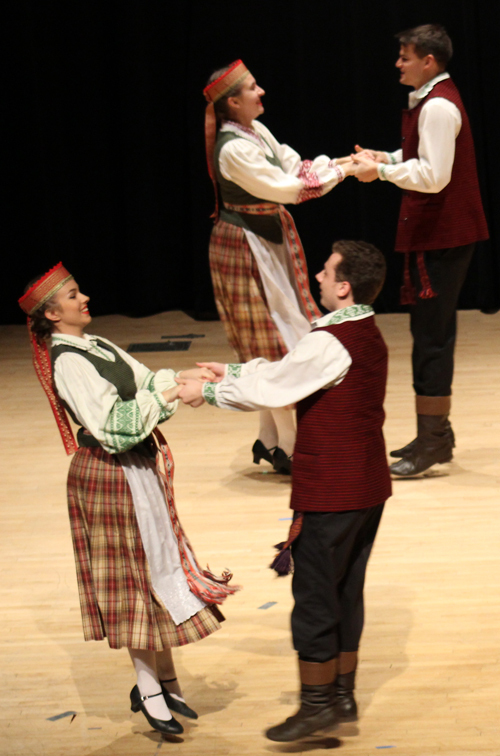 Since 1955 the Gintaras dancers have made it their commitment to expand and engage the Lithuanian community in Toronto through the magic of traditional dance, music, and cultural activities. 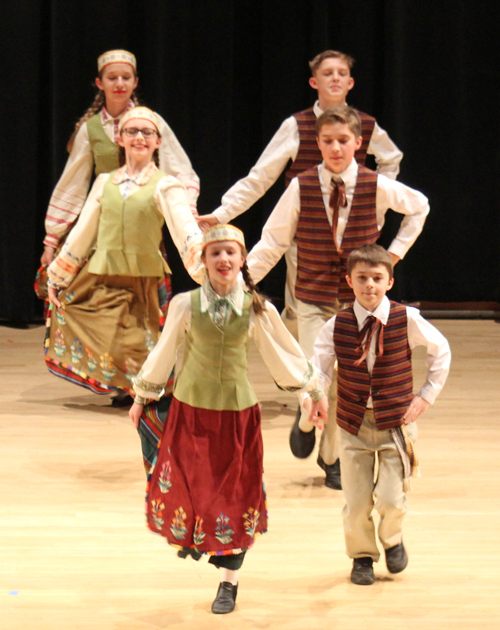 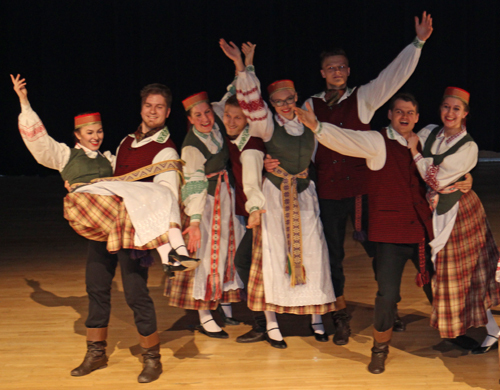 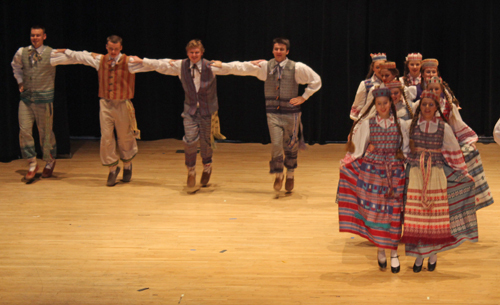 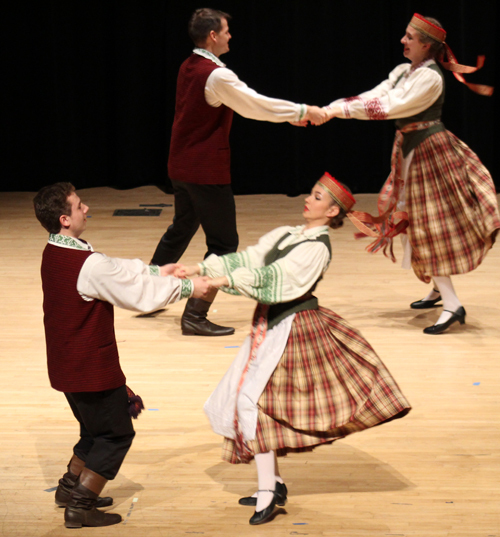 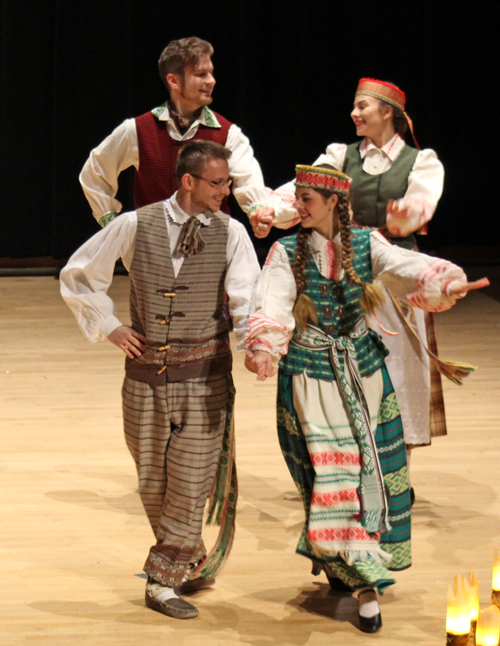 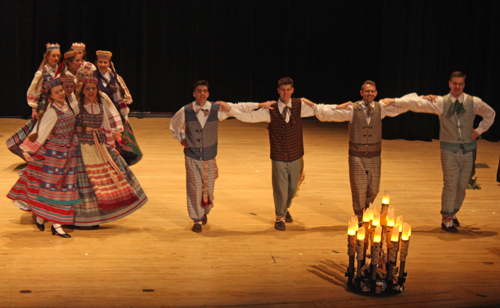 Cleveland Svyturys is a Lithuanian folk dance group. 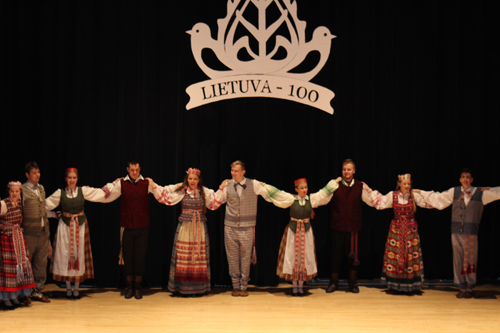 To begin, dancers from Svyturys and Gintaras performed 'Lithuania, you are Mine' or 'Tu Lietuva tu mana'. 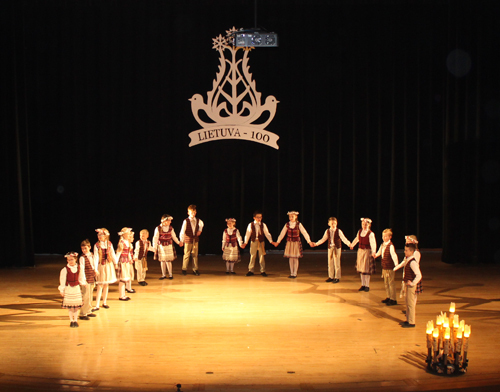 Next, young dancers from Svyturys performed the Lithuanian dance 'Let's dance boys and girls' or 'Sokinekit berniukai, sokinekit mergaites'. 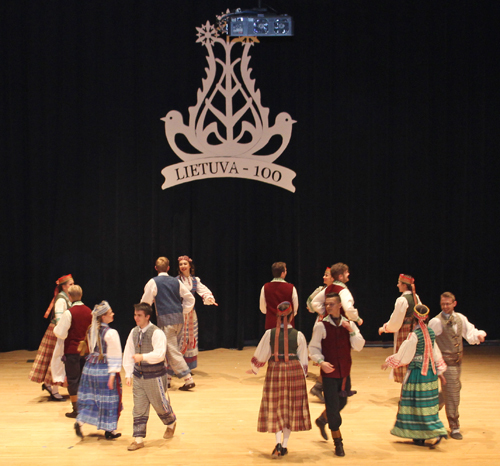 Next, dancers from Gintaras performed the Lithuanian dance 'The Willow' or 'Zilvitis'. 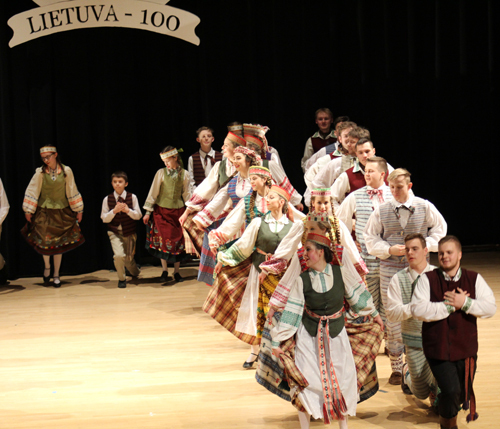 The dancers from Svyturys then performed the Lithuanian dance 'Trio Dance' or 'Trijula'. 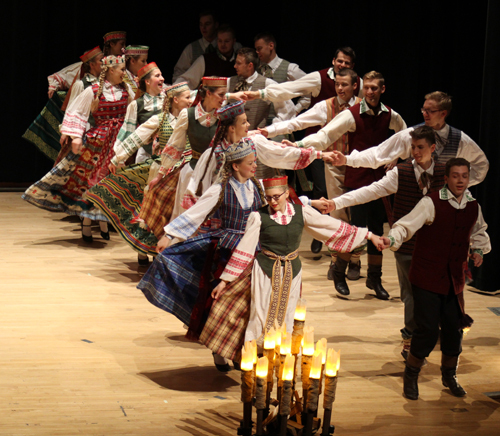 Next, dancers from Svyturys performed the Lithuanian dance 'Crazy Gorgeous Jadvyga's Polka' or 'Pasiutusiai grazioso Jadvygos polka'. 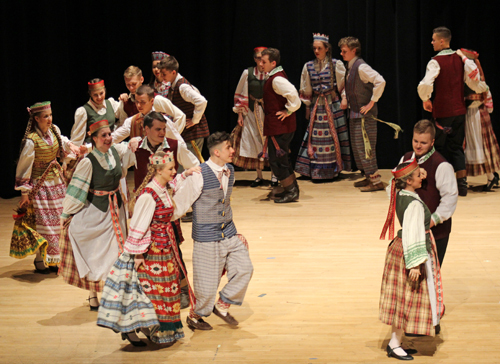 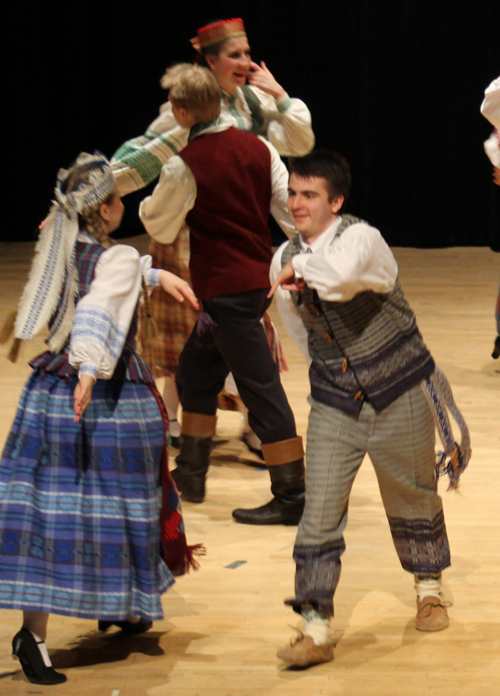 Then, the dancers from Gintaras performed the Lithuanian dance 'Rascal Polka' or 'Selmiu Polka'. 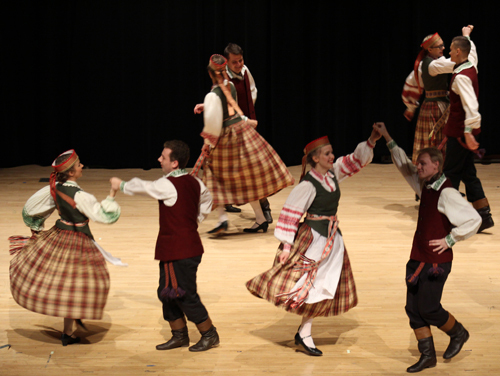 Dancers from Gintaras performed the Lithuanian dance 'The Playful Cornett' or 'Tili tili duda'. 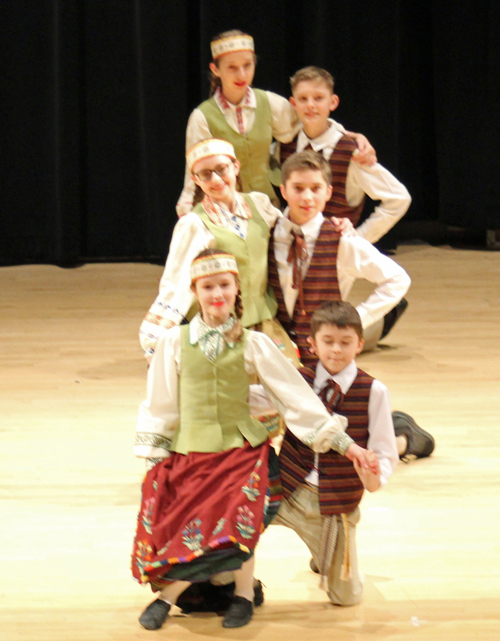 Next came a brief intermission.